Part of the reason I started writing this blog about a year ago is I thought it would be a nice companion for a book I was working on at the time. 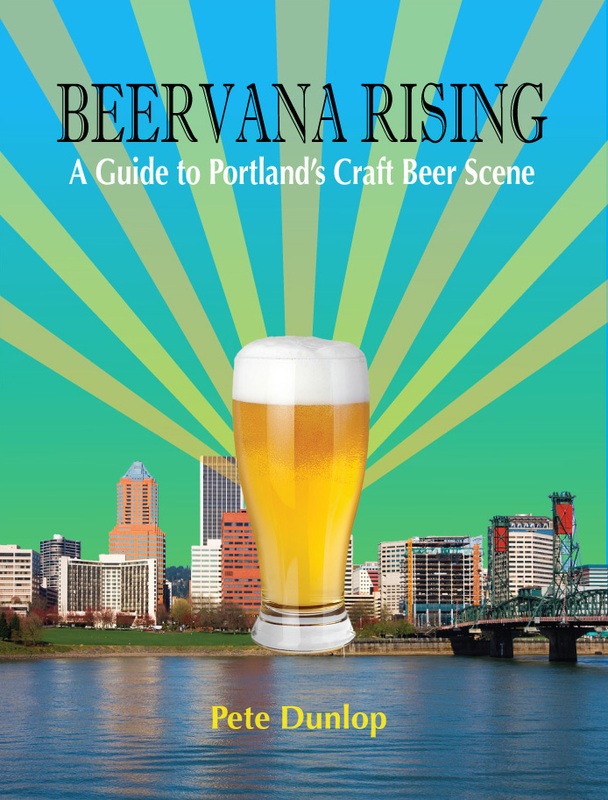 The book, Beervana Rising: A Guide to Portland's Craft Beer Scene, was published as an eBook last fall. 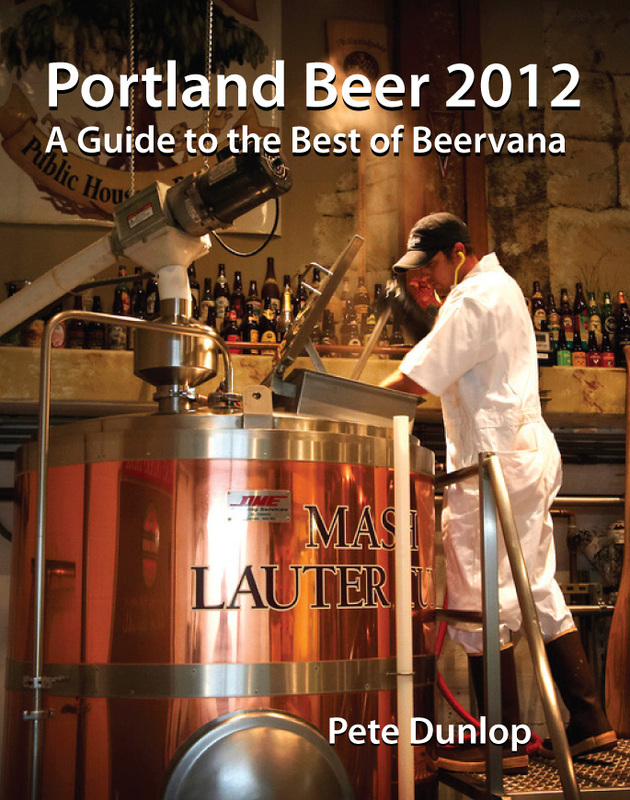 It is essentially an overview of the Portland beer scene, with coverage of the brewpubs, pubs, bottleshops and significant events, along with historical references, stories, etc. Beervana Rising has been available on Amazon, Apple, Barnes & Noble and several other sites where you can buy such things. I thought an eBook might be a nice way to present this information. I realized there are plenty of places you can go on the web (blogs, Yelp, etc) to find the same kind of information. But I thought the book might be useful because it provides a lot all in one place. I didn't do much to promote Beervana Rising, beyond mentioning it to friends and family. Why? I was never quite satisfied with it. I wasn't completely sure it covered everything it should and I thought maybe it needed to be published as a print book to gain a following....an idea I didn't pursue. Fast forward to April 2012. I was working on getting a formal book contract for a different project. During those talks, it occurred to me that Beervana Rising is exactly what it should be: an eBook. Things change so fast on the local beer scene that print makes no sense at all. A book like this needs to be updated on a regular basis to stay relevant. I had always intended to update and republish the book, so I put it in motion. 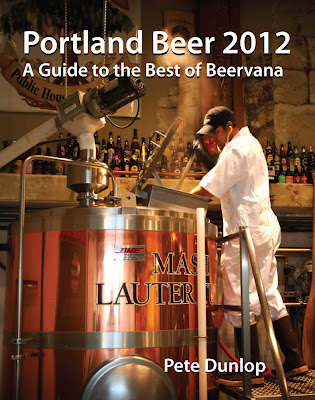 The newly published book is called Portland Beer 2012: A Guide to the Best of Beervana. It's an improvement over the first book. The content has been expanded and updated to include some of the newer spots around town...places like Gigantic, The Commons and Pints. Some of the content is re-purposed from blog posts, but a lot of what's here is specific to the book. Why the new title? I hope it will make the book easier for search engines to find and for potential buyers to identify with. The cover is also new. I designed the cover of Beervana Rising myself. It wasn't bad and I'll continue to use that artwork in various places. But cover art is pretty important with an eBook because it's the first thing buyers see when they're scanning book titles. I decided I needed a beer photo on the cover. ...and out with the old. When you want a great beer photo in this town there's an obvious go-to person: Matt Wiater (aka Portlandbeer.org). I've known Matt for many years via work not related to beer. I talked to him about what I was looking for and he was kind enough to help me find a photo I think works well. If you're wondering, the photo was taken several years ago at the old Laurelwood Brewery on 40th Avenue...Columbia River Brewing occupies that space (and brewing equipment) today. My vision (if that's what it is) of the book has also changed...I now see it as a series. There will be a a new version with updated content each year, probably in the spring to coincide with the busy summer season. The cover may change from year to year...or not. I'll cross that bridge when I get to it. As for 2012 book, I'll be updating it every few months through the fall and loading the revised versions to the various sites. In case it isn't quite clear, the book is intended for people who want to know more about Portland's beer scene, including the roots of the craft beer movement here. People who travel here to sample the beer, as well as locals who want to know more, will certainly be interested. The beer geek community isn't the main target, although there's probably something here for them, too. As of today, the book is on Amazon only...it will take a week or two for it to show up on the other sites. There's a link to the Amazon store at the top of the right column. By the way, if you're reading on an iPad, the reading experience is much richer if you buy the book through the iBooks app. Honest. I don't expect anyone to run out and buy this book. But spread the word. Congrats, Pete! Now I understand that email you sent last night (I take it you have things sorted out html-wise).